Warning: Huge (very huge) spoilers for "Game of Thrones" season seven, episode two. If you aren't caught up on the series, read at your own risk. 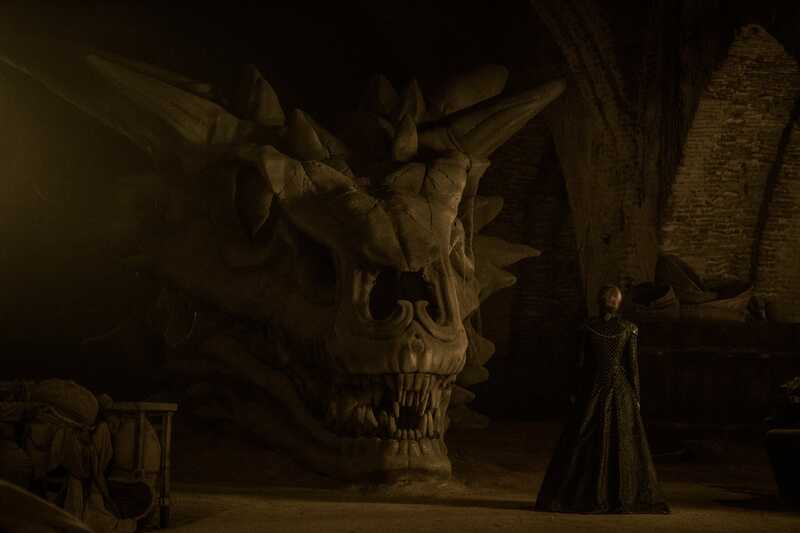 After what felt like the longest seven days in history, season two episode seven of "Game of Thrones," titled "Stormborn," finally came on TV. The majority of this episode felt similar to the season premiere: catching up with characters, and seeing the story mechanics that will bring everyone closer together as the series moves toward the end. But then it ended with an unexpected battle, as Euron attacked his niece's fleet at sea. Storms and trust (or lack thereof) were big themes this week. No one seems to trust anyone, which is a pretty smart way to live in Westeros. But it's also frustrating for the audience, because we want some of these people to just get along. There's a lot to remember — between Sansa ruling the North and Grey Worm going all the way with Missandei — so we highlighted the episode's biggest moments. Here's our recap of season 7 episode 2 of "Game of Thrones:"
Daenerys doesn't trust Varys. And Melisandre wants her to team up with Jon Snow. Daenerys doesn't feel at home in Dragonstone, even though it's her ancestral home. And for the first time, she addresses her distrust of Varys. This is actually coming from a solid place, and it's surprising she didn't bring it up when he came to Meereen. Varys betrayed her father, and then served as Master of Spies for Robert Baratheon. While doing that he, betrayed Robert as well. And he also helped facilitate the attempt on her life, with the help of Ser Jorah Mormont. Daenerys tells Varys that she doesn't know she can trust someone when she doesn't know where their loyalties lie. But Varys smartly responds by telling her about his background. He is not from a noble house. Like Missandei and Grey Worm, he was a slave, so he cares about the good of the people in Westeros — not just the lords. This worked on Daenerys, and then Melisandre showed up to tell her that she should team up with Jon Snow, who can definitely use her help defeating what's coming from the North. 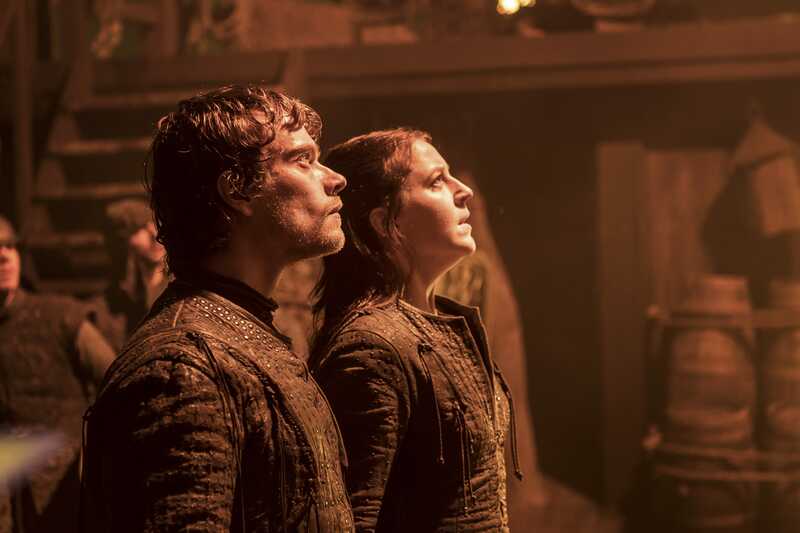 Jaime doesn't trust Cersei, or believe in the Lannister army — and he goes behind her back in a meeting with Randyll Tarly. 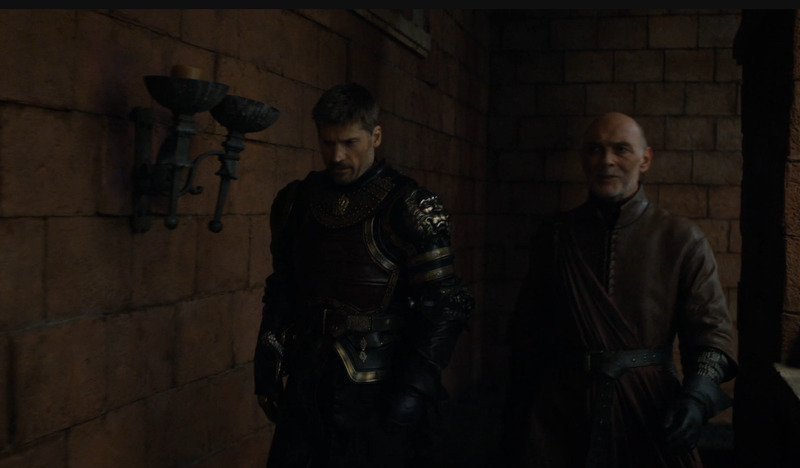 Randyll Tarly (Samwell Tarly's dad, who we met in season six) is summoned to King's Landing to see Queen Cersei. She asks him for his allegiance to the Iron Throne. Tarly is fiercely loyal to the Tyrell family, but Jaime takes him aside and offers him a position as the ranking general in his Lannister army. This scene proved that Jaime doesn't trust Cersei. She's literally a mass murderer, so lords of Westeros aren't likely to ally with her. At this point, anyone can be killed no matter what they do for her. Jaime also doesn't believe his army is strong enough, and needs all the help he can get. The North doesn't trust Tyrion Lannister or Daenerys Targaryen, and with good reason. As viewers, we know we can trust Tyrion Lannister and Daenerys Targaryen. So far on the series, Tyrion has been kind to any of the Starks who cross his path. And in general, he treats people with kindness, unless they've done him wrong. And Daenerys hasn't shown her father's madness. Though some theorize that it's in there, we've seen a strong, brave, and confident leader who cares about her people. But the people in the North haven't seen the good sides of these people. They hear stories, and they associate them with the people they're related to. The people of the North don't have enough knowledge of Tyrion and Dany to fully trust Jon and Davos's mission to ally with the young queen. But Jon's doing it anyway, because the White Walkers are coming, and they can't defend themselves alone. Qyburn has a weapon that can defeat Dany's dragons. Or can it? Qyburn shows Cersei a giant weapon he's created that can kill dragons. She's visibly satisfied with his creation (and he is as well), but their satisfaction will probably be their downfall. Sam goes behind the Archmaester's back to save his former Lord Commander's son. Samwell Tarly admired Lord Commander Mormont. Upon finding out Ser Jorah is his son, Sam tries to find anything he and the Archmaester can do to cure his greyscale. But the Archmaester gives up, and decides to send him away to die. But Sam won't give up on Commander Mormont's son, and sneaks his way into Jorah's chamber in the middle of the night to try something he found in a book that could stop the greyscale. 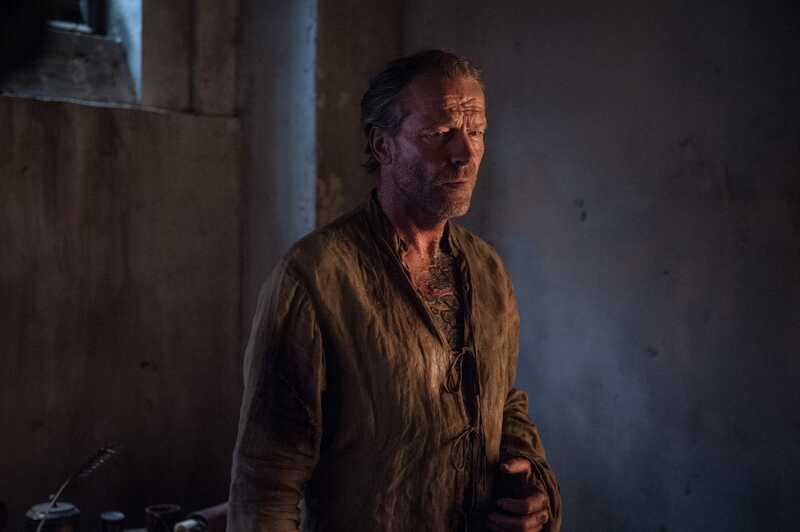 It would be sad to see Jorah go so soon, and this alliance could lead both of them to Daenerys in Dragonstone, so we're hoping that Sam's first attempt at major surgery actually works. Arya suddenly changes her destination. Also HOT PIE! And Not Nymeria. Without the convenience of cell phones, the internet, and email, news travels slowly in Westeros. Which means that until this episode, Arya had no idea that Jon and Sansa had retaken Winterfell from the Boltons. 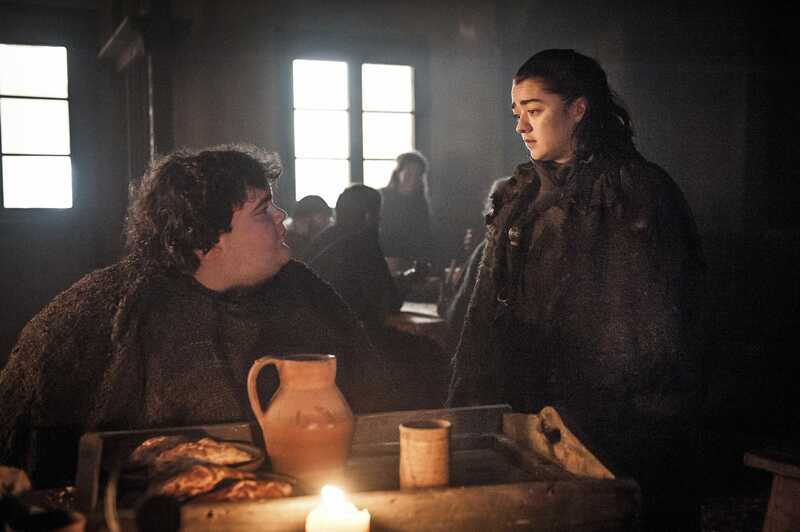 Thanks to her old friend Hot Pie, Arya finds out that the Battle of the Bastards was a thing that happened, and changes her plans. Instead of heading to King's Landing, which is only 200 miles away, she heads North to be reunited with her family. Hopefully the attempt at a family reunion goes better this time than the last one, since she and the Hound arrived at the Twins right after the Red Wedding. Later, in the woods, a wolfpack gathers around Arya. Nymeria, her direwolf, leads the pack. Arya asks Nymeria to come North with her, but she walks away. Like Arya, Nymeria has her own plans and doesn't follow what anyone wants her to do. If Littlefinger touches Sansa, Jon Snow will kill him. And that's very likely. 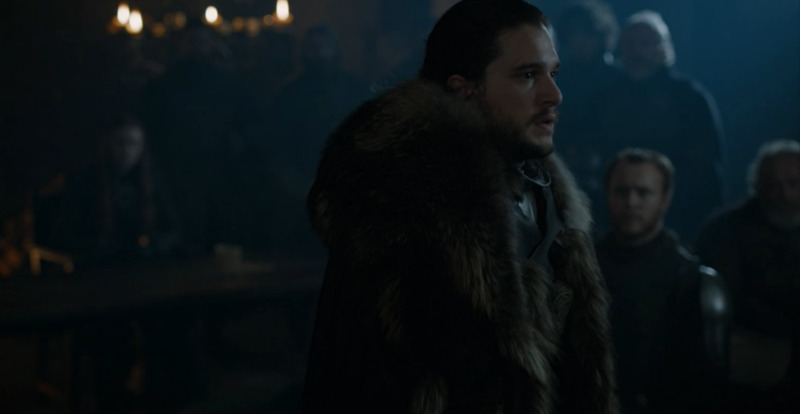 Jon has left Winterfell for Dragonstone to meet Daenerys. He's left Winterfell in Sansa's hands, but unfortunately that also means that he's left Sansa with Littlefinger. 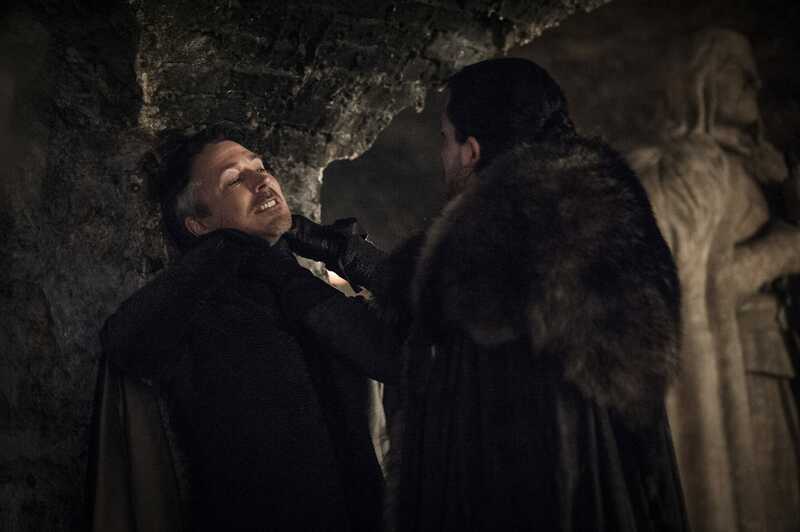 In the crypts of Winterfell, Littlefinger tells Jon that he brought Ned's bones to Catelyn on the orders of Tyrion Lannister when he was Hand of the King. But he also asks Jon when he's going to thank him for saving him in the Battle of the Bastards. It is actually kind of rude that Jon never thanked him for that, but then Littlefinger goes on to say that he loves Sansa like he loved Catelyn. That is creepy, and did not sit well with Jon. Jon ended the conversation by choking Littlefinger, and saying "touch my sister and I'll kill you myself." Theon jumps into the ocean after being reminded of his captivity under Ramsay. Yara and Theon are headed to Dorne with Ellaria Sand and the Sand Snakes. But suddenly, Euron and his fleet attack. Euron captures Yara and tries to convince Theon to save her himself. Triggered by the sight of men being tortured by Euron's men, Theon seems to transform back into Reek and jumps into the ocean. No telling where he will swim from there, but there's always a chance that he'll run into Gendry, who is possibly still rowing out there somewhere. 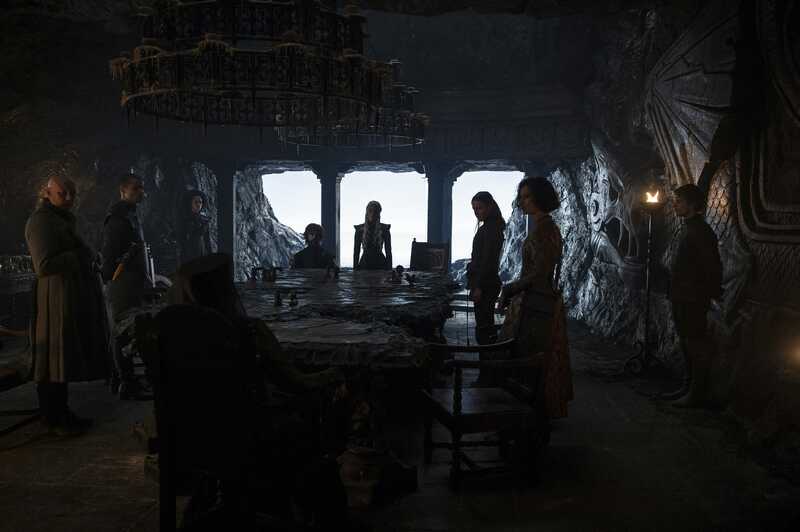 We also know that at least two of the Sand Snakes are dead, but unsure of the status of Ellaria Sand, the living Sand Snake, and Yara Greyjoy. Chances are Euron will bring them to Cersei next week. Which will definitely not be good for them at all.